This post is Part 7 of “Take Control Of Your Email Inbox Once And For All” series. Here’s the link to Part 1 of the series in case you missed it. If you’ve been following along this last week, you now have your email set up to really work for you and reduce the amount of time you spend on email. This post is Part 6 of “Take Control Of Your Email Inbox Once And For All” series. Here’s the link to Part 1 of the series in case you missed it. So far this email series has harnessed the power of Gmail to automatically organize emails and save time responding to emails by creating canned responses, but this still doesn’t address the times when you need to send a response in a few days but you don’t want to forget about it so it sits in your inbox and sometimes gets buried. This post is Part 5 of “Take Control Of Your Email Inbox Once And For All” series. Here’s the link to Part 1 of the series in case you missed it. Today we’re going to be looking at 2 quick tips that will help you to spend less time on email. The first tip is most useful when combined with filters for auto-organizing things that you sign up for in the future. The second tip is amazing for saving time in responding to clients. This post is Part 3 of “Take Control Of Your Email Inbox Once And For All” series. Here’s the link to Part 1 of the series in case you missed it. Now that you’ve got the basics of Gmail down, we’re going to get into some of the extra features available, called “Labs”, that make Google even more helpful. But before we jump into that, I think it’s important to talk about the different kinds of email you get in your inbox so that you can determine what you want to do with it when it arrives. This post is Part 2 of “Take Control Of Your Email Inbox Once And For All” series. Here’s the link to Part 1 of the series in case you missed it. Before you can really dig into the best parts of Gmail, you have to have a handle on some of the basics. If you’ve been using Gmail for awhile, you’ll probably be familiar with most of this already, but you’ll need to at least set up a few key labels that we’ll be using in future posts to make your inbox work for you. Is your email inbox out of control? We’re going to go all “Super Nanny” on your inbox and teach it how to behave. 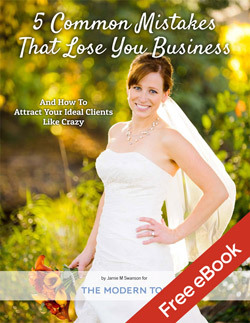 Once you’ve implemented the strategies in this series, your inbox will be working FOR you, not against you. Over the next 7 days we’re going to set up a system that does the work for you so that you can spend less time deleting and sorting emails and more time doing the things you love. This system will prevent your inbox from becoming a disaster in the future as well. It’s going to take a little bit of work to get there, but I promise you the time investment will save you hundreds of hours in the future. We’re going to start with the basics and then move to the golden nuggets, but I promise that the golden nuggets of usefulness at the end will be worth it. So follow along on this 7 part daily series and by next week this time, you’ll be in a really great place with your email. 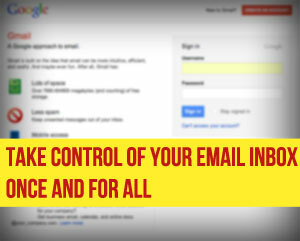 So let’s jump in and get take control of your email inbox once and for all.